Balkcote in North East England a perfect base for your holiday in County Durham. Find out more about Balkcote below. Warm and welcoming, this property features an open plan sitting room, a charming bedroom with an en-suite bathroom and stunning views of the countryside. A splendid Teesdale cottage, this unique property is a ground floor wing of a stone-built detached barn, only one minute from the village centre on the edge of the charming village of Romaldkirk. Carefully renovated and distinctly styled, the cottage, all on one level, has been well appointed throughout to provide good quality comfortable accommodation in a tranquil location, just the place for that romantic hideaway. An open-plan living room opens out onto a tranquil garden, while the kitchen provides all modern appliances and a comfortable dining area. Just beyond the cottage are a myriad of scenic walks and nature trails, whilst the superb pub with its award winning food are just a minutes stroll, as is the lovely village green. Oil central heating. Electric cooker, microwave, fridge/freezer, washing machine, tumble dryer, dishwasher, TV, DVD, CD player, small library of books. All fuel & power inc. in rent. Bed linen & towels inc. in rent. Off road parking for two cars. Rear patio with furniture, lawned garden shared with Ref. 2895. One well-behaved dog welcome. Sorry, no smoking. Shop 3 miles, award-winning pub 1 mins walk. Note: This property sleeps a maximum of 2, & is suitable for adults only. Balkcote is family friendly self catering. We have the following details listed regarding Balkcote accommodation accessibility but we would recommend that you always confirm these prior to booking with the owner or operator. Balkcote is a great base to explore the wonders of County Durham and you will find plenty of activities near by. Balkcote is at Romaldkirk, County Durham DL12 9EE. Check out the map below for directions, use the controls to zoom in. Balkcote has a 4 star rating, do you agree? If you have stayed at Balkcote why not add your thoughts, comments, pictures to our Facebook page? Don't forget to add the name/town/page link to your comment so its attributed to the correct place. Please keep it polite, we are sensitive souls! Find Cottage Holidays works closely with independent cottage owners and leading holiday travel operators to provide you the widest choice of self catering accommodation across England. 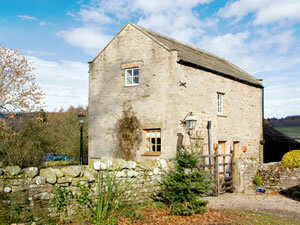 Balkcote in County Durham is available through: Sykes Cottages.